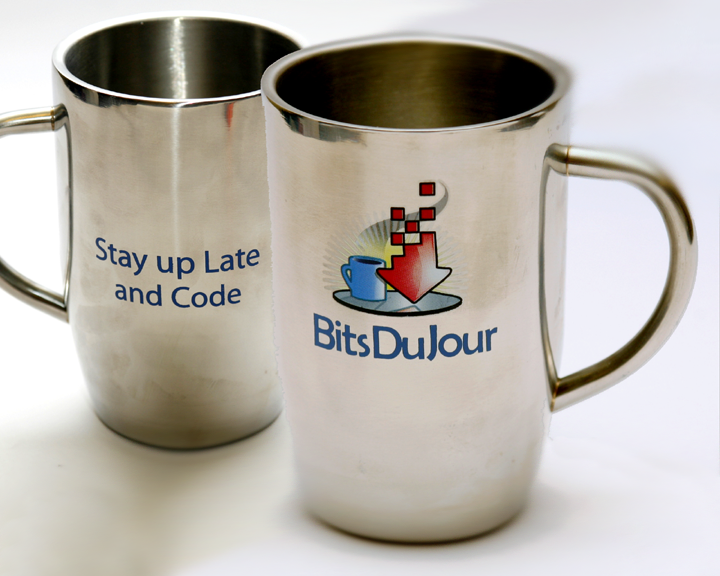 That's why we're giving away 100 of these limited edition BitsDuJour mugs, perfect for late-night coffee. If you want one all you have to do is click to enter your address and the lucky winners will get one wisked to them. That’s the number of new customers a BitsDuJour Giveaway can attract. Imagine an immediate social media presence if you don’t already have one, and a dramatic boost if you do. Plus, a massive increase to your mailing list, and even potential coverage from high-profile media outlets. It’s all possible with BitsDuJour Giveaways. BitsDuJour welcomes an average of 10,000 unique visitors to each promotion. They come via our 200,000 person mailing list and our 50,000 Facebook fans,and are eagerly awaiting your product. Getting set up is simple. The requirements for participation are flexible, and best of all, our service won’t cost you a penny. By offering a simultaneous upsell with a discounted Professional version (e.g., Enterprise, Multi-Year, etc. ), we’ve figured out how to monetize on our BitsDuJour Promotions and create instant, paying customers. Do I have to provide support to all those thousands of new customers? Up to you! In general we ask that the product you’re giving away be as similar as possible to the paid version, but we think that support is an allowable exception. We do! All we need from you are a list of license codes (5,000 to start, then more as necessary). We take care of the nitty gritty details and handle setup. We even host the installer on our servers for you. Which version should I give away? That depends on your goals. If you’re looking for a bit of revenue, we’d definitely recommend giving away the lowest price point version while upselling the better version. However, if you want to maximize Facebook likes and emails, ‘better’ versions = better results! What if my software is subscription based? Great! In some ways this is even easier. We’ll give away a bundle consisting of ­6–12 months, and offer a discounted upsell for a bundle with even more months. Wait a second, what’s in it for you? Easy, the same as you :) A customer needs to like both your Facebook fan page and the BDJ Facebook fan page in order to get the deal, and by downloading the deal, the customer gives us both permission to email. The same goes for the upsells ­> we split the profits 50/50. It’s all a shared endeavor. Are these ‘good’ email addresses? Yes, we checked with our lawyers to ensure that the system complies with CANSPAM regulations. The email addresses are all double opt­-in, and we do our best to filter out junk/disposable email addresses (several hundred domains in the filter and counting) from the get­go. Want to Write an Article for BitsDuJour's Tech News? Got an idea for an article for our Tech News section? We love to hear what you have to say here at BitsDuJour. Below are a few guidelines for what to write and how to write it, so pencils at the ready... we'll begin. First a bit of history. BitsDuJour is all about it's community of software developers and software enthusiasts. We love that the comments on our deals put developers in direct contact with buyers, and that's why we call it "The Conversation". We have tens of thousands of comments, and add to that forum posts where you can chat about whatever you feel like. We realized recently that people had a lot more to say than just comments and posts. Some of our comments get really long, full software reviews and information that's about much larger subjects. 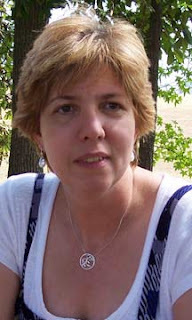 So we created a new section of the website, open to everyone, but vetted. That's the new "Tech News" section. Tech News articles are special. We feature them on the site in category pages, the homepage, and the Daily Bits email that goes out to hundreds of thousands of people. That's why we have to make sure that the subject matter and writing meets a certain standard, and that means a couple guidelines to follow. Tech News articles all live in a category. First step is to select a category from the list and think of a subject. Productivity: "How to organize your online life"
Development: "The easiest way to start out developing an application"
Security: "Are anti-virus programs enough to keep your computer safe?" Good subjects answer a direct question, and give information around that. Bad subjects are simply descriptions of a topic that read like a dictionary. Don't feel shy in expressing an opinion, either positive or negative, just be sure to fact check your sources. We prefer HTML format, and images are encouraged, as are links and videos. Articles should be at least 350 words, and feel free to go longer. To get started writing please Contact Us and tell us what you're thinking of writing so we can make sure that it's a good subject. We really look forward to seeing more submissions from the ever-growing BitsDuJour community! iOS App Discounts have never been so popular, so we've taken a big step in bringing you the best iPhone, iPad and iPod deals we can find! If you've been following our daily deals then you'll know that we've always excelled in bringing you the best Mac and PC apps, well now we have iOS apps too! So if you've got an iPhone, iPad, iPod or any Apple device come check out what we have on offer in the new section. We'll be showing apps that have dropped prices in the Apple iOS Store, so you can easily see what deals are available and you can download them straight to your iOS device in the usual way. This is our first step in bringing you iOS deals, so expect a lot more features coming in the following weeks. All these changes mean a new header on the website. We've split our Mac and PC deals across two easy to navigate sections using our new header control. So swing by every week (or every day) to see the latest apps for all your devices! We're very happy to announce the start of our Tech News section on BitsDuJour! Check out the first article. What's your Favorite Software Category Icon? So we've spiced things up over here at BitsDuJour, and added this cute little guy to all our software categories! As you browse through the site you'll see him in a variety of places, holding a paintbrush for the art page, and a briefcase for the business page. He's a sharp developer too and knows how to code and all about technology. He's also clearly been doing some push-ups in the Security section! We haven't decided on a name yet, maybe he's called Bitsy? Here at BitsDuJour we spend a lot of time analyzing our data. We're neck deep in custom reports and SQL queries. Imagine our surprise this morning when we discovered that we've given away over a million pieces of free software over the last few years! We're not talking about any feature-crippled versions, or "Lite" versions either, we're talking about the real thing. Fully functioning software, without any gotchas. That's great news for anyone searching for a fantastic deal - it doesn't get much better than 100% off. Oh and there's more to come, check out what we have on offer today! We send a lot of email at BitsDuJour - and when I say a lot I'm talking millions of email messages a month. It's a big task, fraught with problems, and we're happy to say we've just completed taking a huge leap forward in switching to a new hosted solution. We know some of our fans had problems unsubscribing from the old system - and that was to do with the way we had one list on our site, and one list in our email service providers. These lists needed constant syncing, and sometimes requests to unsubscribe would get lost. Now with the new system we have one list on our site and unsubscribe requests are processed instantly! It's rare that sites that send the volume of email that we do get a spam complaint rate of 0.00%. The bounce rate, meaning the number of times an email is sent to a bad email address, is almost never 0.00% either. We're really happy that means we're continuing to send the email that people want to receive! While we're talking about green lights BitsDuJour also scores a green ranking on the Web of Trust. If you like what we do then please cast your vote and add a comment.